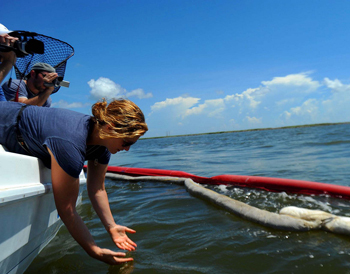 Spirit of the Gulf Coast developed as a volunteer documentary project that continues to raise awareness of the ongoing impacts of the BP oil spill in the Gulf of Mexico and how the people along the coast demonstrate their resilience in light of adversity. Through this initiative, our team seeks to engage interested citizens in a deeper discussion on the complexities of energy use, personal consumption, and how each of us play a part in the system that ultimately led to the largest oil spill in US history. To raise awareness of the complex issues surrounding oil dependence and how we each have a role to play in preventing these disasters in the future. We want to ultimately inspire people to take steps in their own lives to reduce their consumption of oil and oil-intensive products and services, and help them mitigate their overall impact on the larger system. We believe that solutions begin with each of us making mindful choices in our daily lives and staying informed on the challenging issues that our society faces. After all, the spill not only impacted the Gulf coast; our society at large continues to suffer impacts from this tragic event. During the 4-day expedition, the team traveled to Gulf coast communities and interviewed locals along the coast through a series of serendipitous connections. Much of the content was ‘man-on-the-street’ style interviews that provided a glimpse into the lives of everyday people living and working along the coast. The team also chartered a boat with an offshore captain that had been out of work in the wake of the spill. While offshore, the team peeked into the life of a charter fisherman and heard his point of view on the spill and its aftermath. Videographer Nathan Black, Photographer Terrell Clark, and Expedition Organizer Brandon Sutton documented the experience through a combination of video and still imagery. Kim Campbell and Andy Cleary conducted interviews and communicated the experience in real-time through the Spirit of the Gulf Coast blog, Facebook page and Twitter account. Short video clips and photos were uploaded daily to YouTube and Flickr respectively in an effort to show the process of the journey as it unfolded. The Spirit expedition began on Grand Isle, Louisiana then traveled to Pearlington, Mississippi and on to Portersville Bay, Alabama for the final stop. Through the stories of locals, the Spirit team is able to make the conversation of oil dependence very personal and approachable by otherwise skeptical audiences. The initial 4-day expedition in August, 2010 culminated in a 30-minute documentary film and fine art photo exhibit that provides a glimpse into the lives and attitudes in small coastal communities. The team produced a public exhibition at Georgia Tech in October 2010 where the film and photo exhibit was first shown to the public. Visit the Film page and the Photos page to experience the essence of the project. 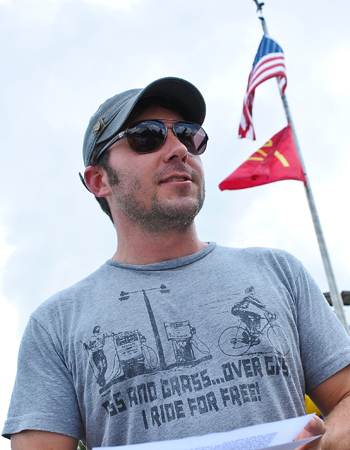 My name is Brandon Sutton, and Spirit of the Gulf Coast is an initiative that began with an idea that connecting with people and engaging in productive dialogue can truly bring about positive change in the world. I believe that by engaging the public with the human side of this disaster, it’s possible to spark a deeper conversation about how the choices we make in our daily lives ultimately impact others, such as the people and the wildlife of the Gulf. We live in an interconnected system and when we take the time to consider how our behavior affects the world around us, we call upon the creative energy inside ourselves to seek solutions that contribute positively to the world as a whole. I hope you will join me in becoming an agent for change here and now. If you would like to get involved, or support this initiative in some way, please email us for additional information on how you can help, or make a donation using the Donate button on the right. We hope you will continue to join us on our mission to bring about positive action in light of this unfortunate disaster. For additional info or to contact us directly, please email us.